Hey guys, Jen did a super cool thing this weekend, and ran the NYC Half Marathon, so you know...bow down. Me? I drunk-cried Saturday night, ate a cookie for breakfast Sunday morning, and slept all day, all in the name of turning 30. Be impressed. Also please note that I celebrated my birthday Saturday night -- NOT St. Patrick's Day. It falls in the category of *those* holidays -- July 4, Halloween, New Year's Eve -- the amateur hour ones. You know what I mean. I don't think I need to elaborate. Also, why dye your beer green? Who needs that? That said, I love Ireland! There's so much to see and do in Dublin, from shitting Vikings to fish and chips. And the Irish countryside with the Cliffs of Moher is pretty much unrivaled in terms of beauty. 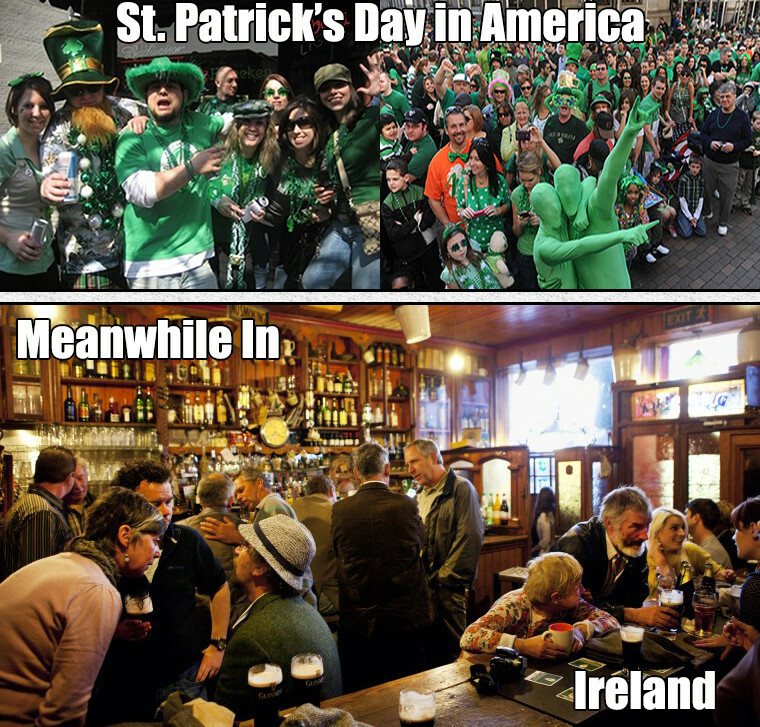 The pubs are way better there than the ones here, covered in shamrocks and overrun with overgrown frat boys. Although, I will admit that I now associate St. Patrick's Day Irish pub rock with a rando Ocean City boardwalk pub to which I now attach undying fond memories of a very special bachelorette. So while I don't love St. Patrick's Day in the States, I do have a special place in my heart for Ireland, and in honor of that, enjoy a St. Patrick's Day playlist by yours truly.